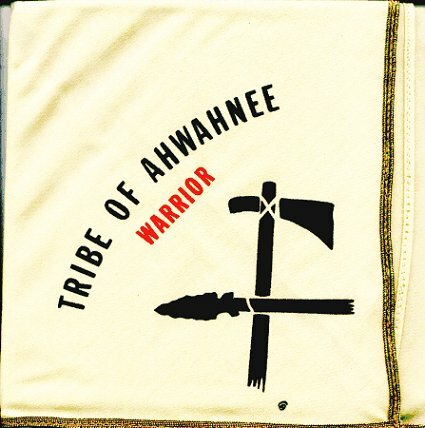 Tribe of Ahwanee - This camp program was based at Camp Ahwahnee in the North Orange County Council and was a camp conservation program with "ranks". Your first year there you could become a "Hunter" by providing 3 hours of conservation work during your week at camp. Second year you could become a "Warrior" with 6 hours of conservation work. The third year you could become a "Medicine Man" by giving 12 hours of conservation and leading a crew in 24 hours in that effort. To earn "Chief" you had to obtain camp approval for a week long conservation project that would have crews led by Medicine Men. Information provided by Bill Topkis. A similar program existed at Lost Valley Scout Reservation called the Ranch Hands, with neckerchiefs and ranks, according to Phil Brigandi.